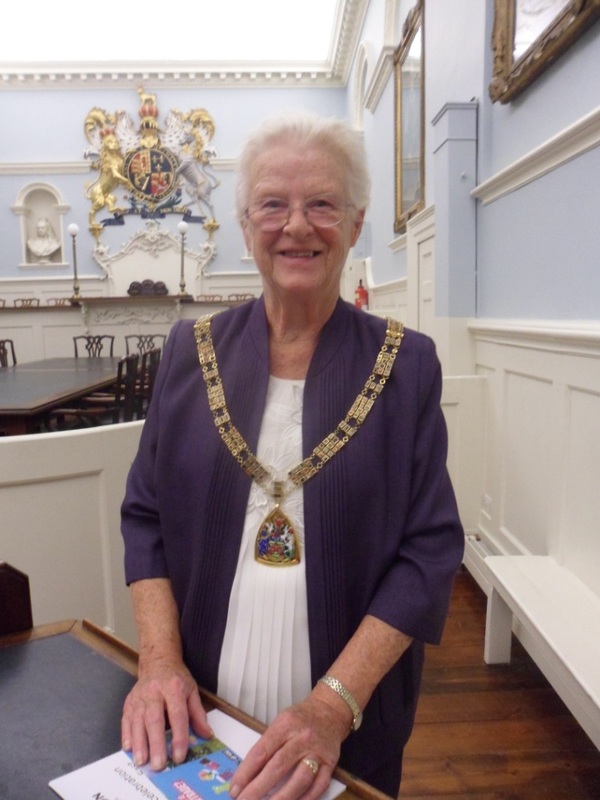 Chairman of East Riding of Yorkshire Council, Patricia O’Neil declares the Riding a Fairtrade County. 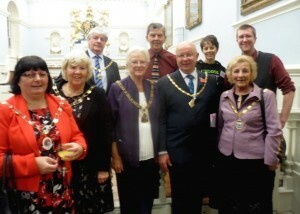 Fairtrade supporters in the East Riding are on a high, as the Riding has been declared a Fairtrade County. The East Riding of Yorkshire was awarded the status by the Fairtrade Foundation in recognition of the strength of support for Fairtrade in the area. 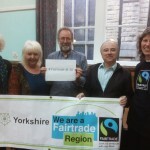 The status was given on the basis of 5 criteria: support from the East Riding of Yorkshire Council, evidence of a wide range of businesses stocking and serving Fairtrade products, use of Fairtrade by schools, community and faith groups, media coverage for Fairtrade action in the Riding and the existence of a strong Steering Group. The flagship employer in the Riding, in recognition of Fairtrade products offered to staff, and a willingness to go further in support of Fairtrade, is BP at their east coast chemicals base. 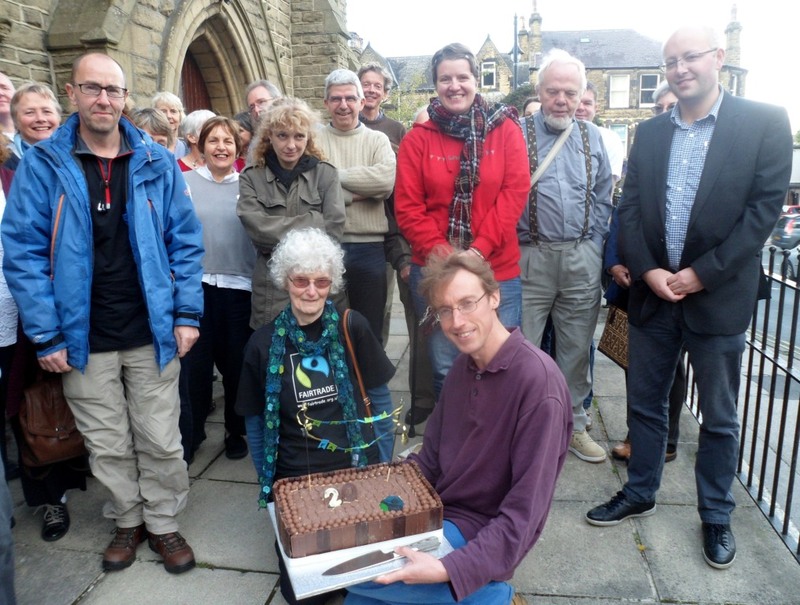 A celebration was also held at Toll Gavel Methodist church where the key note speech was given by John Turner, the Chair of FERN (Fairtrade East Riding Network), the group responsible for campaigning for the Fairtrade County status. John told the packed church of the journey that the FERN group had been on in the long campaign towards status. This year all the pieces have come together, leading to endorsement by the Fairtrade Foundation and the joyful declaration. John paid tribute to all the organisations, groups and individual supporters who have helped in the successful campaign. The officers of FERN (including John Turner on the left) celebrate at the Toll Gavel Methodist church. Tour de Fairtrade Yorkshire – Le Film! Together we can end the cycle of poverty – and enjoy the ride! A peeloton of Yorkshire’s very own Fairtrade bananas rides the Haworth to Oxenhope section of the Yorkshire Grand Depart route of the 2014 Tour de France. 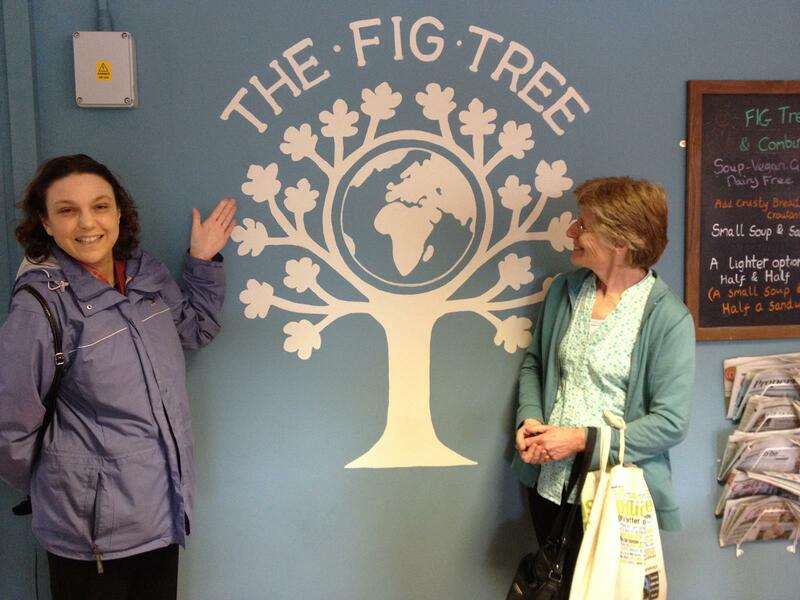 Destination: Fairtrade Yorkshire. 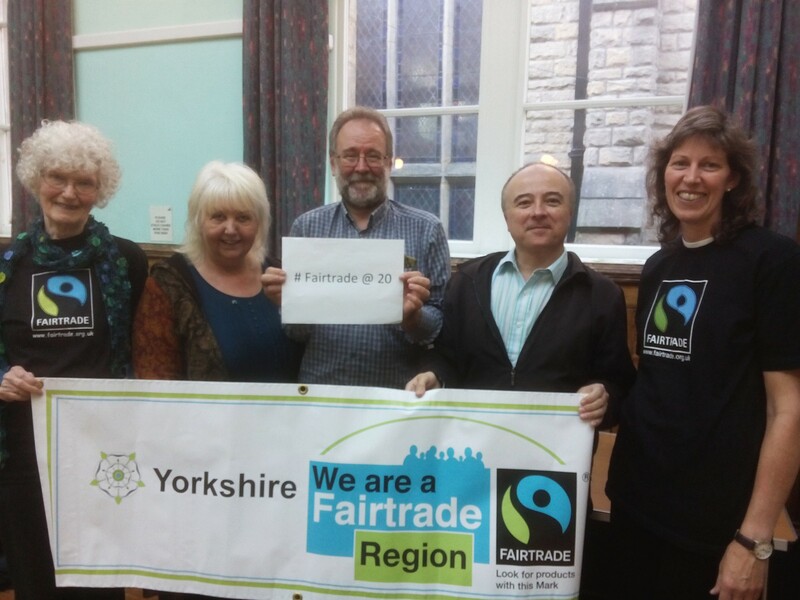 Yorkshire is the UK’s first Fairtrade Region with over 37 Fairtrade villages, towns, and cities, plus Fairtrade schools, universities, churches, cafes, restaurants, shops, businesses – and so on. 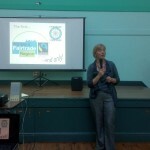 Read more about Fairtrade Yorkshire. (Special thanks to Rita Verity, Karen Palframan, Danny Hardaker, Liz Barker, John Sargent, Russell Brown, Simon Rawles photos, the Fairtrade Foundation, and all the cycling bananas – you know who you are)! Fairtrade Yorkshire was named as a runner-up in the award for Outstanding Fairtrade Campaign. The awards were presented at a reception ceremony marking twenty years of the Fairtrade Mark, which took place at the Queen Elizabeth II Conference Centre in London. 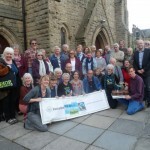 In addition, the Fairtrade Foundation presented a Special Recognition Award to the early pioneers of the Fairtrade Towns movement – Garstang – who came up with the idea to unite their community in support of Fairtrade, and declared themselves the world’s very first Fairtrade Town. 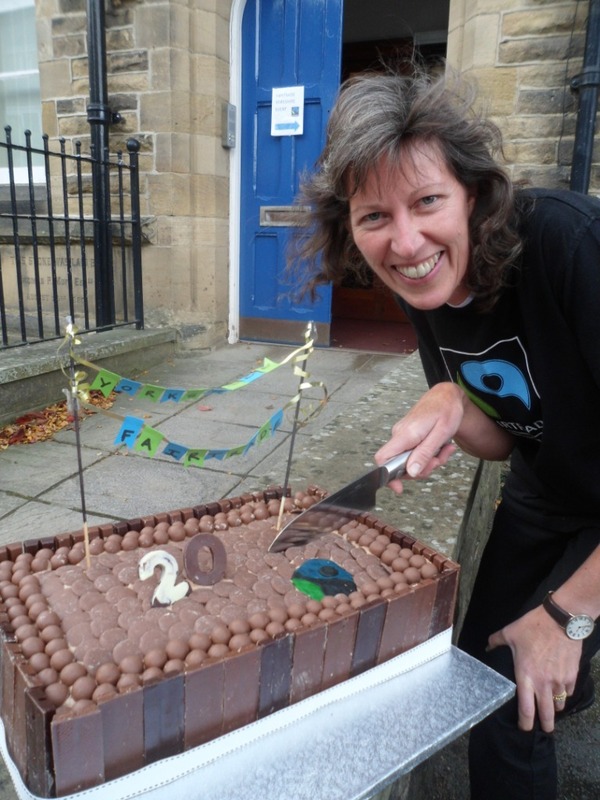 This year is the 20th anniversary of the Fairtrade certification mark which guarantees fair payment and decent working conditions for millions of producers across the globe. 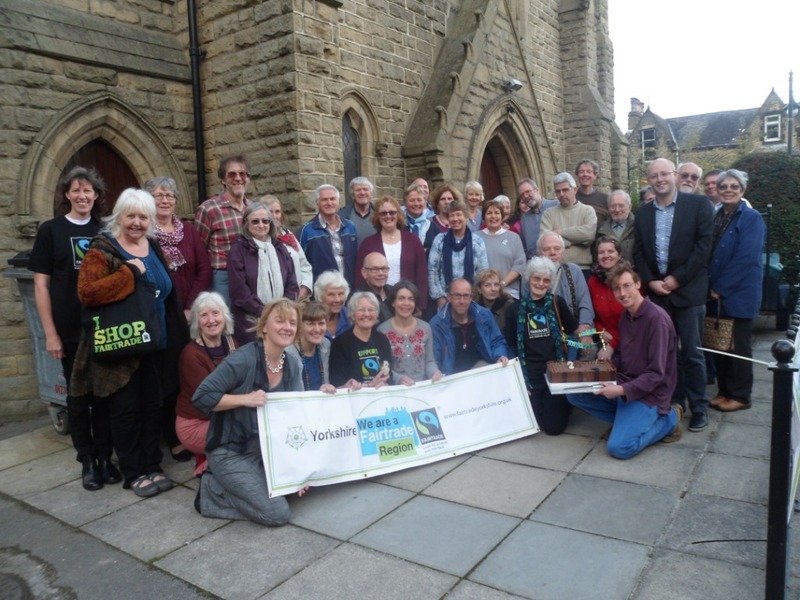 Fair Trade campaigners in Yorkshire celebrated at our conference, on Saturday 4th October at the Riddings Hall in the centre of Ilkley. 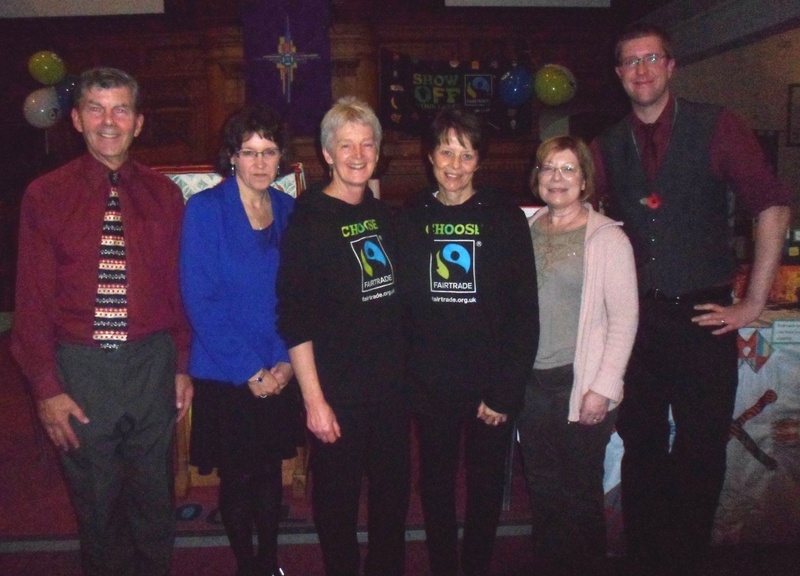 Speakers included Linda McAvan MEP (the chair of the European Parliament Committee on International Development) and Bruce Crowther (the founding father of the Fairtrade Towns movement). 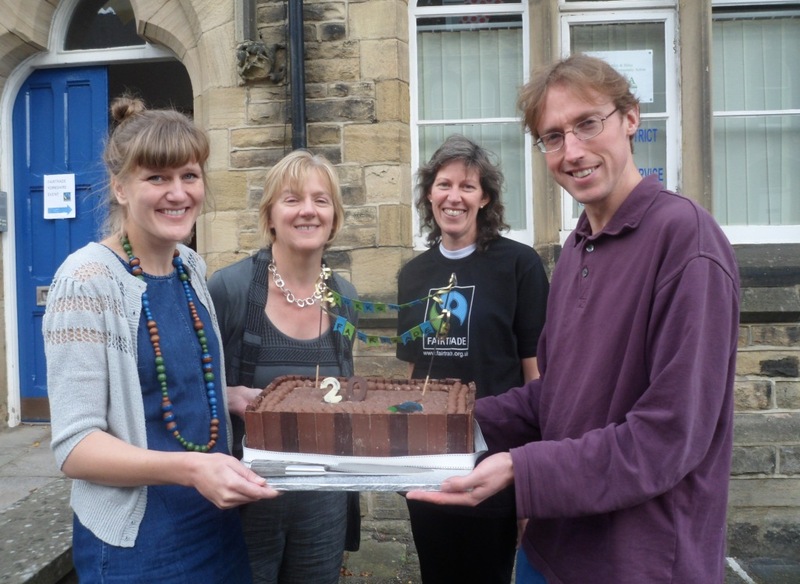 We heard a round up of what Fairtrade Yorkshire has achieved so far this year and discussed the Fairtrade movement with campaigners from across the region. 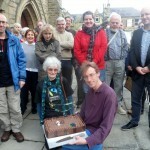 And, of course, we celebrated with cake! 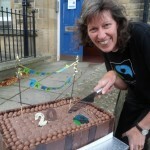 This Fairtrade chocolate marvel was kindly made for us by Leeds’s Fairtrade Sinai Synagogue. 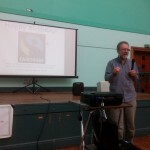 Bruce Crowther, founder of the Fairtrade Towns movement, speaking at our 2014 conference. A large contingent from Yorkshire went down to London for the Fair Future conference at the Queen Elizabeth II centre in Westminster on 15th October. 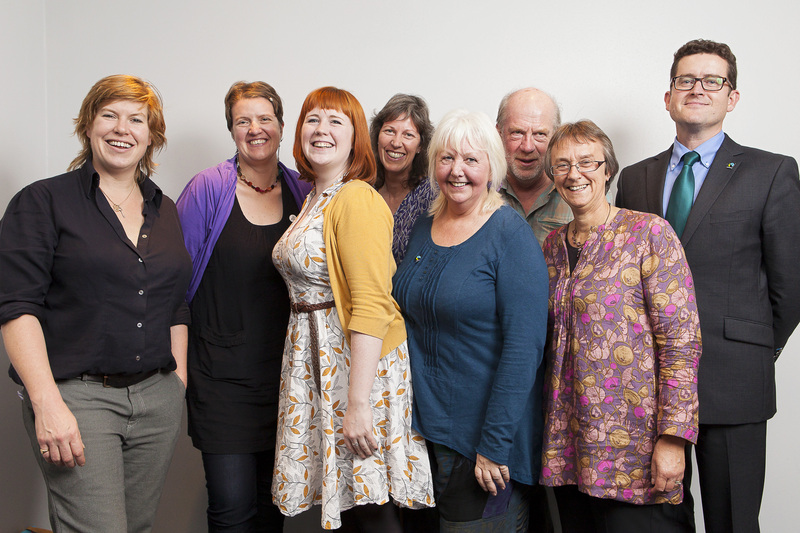 The first 20 years of the Fairtrade mark was celebrated and discussions took place on the challenges and future direction of the movement. Activists, politicians (including Secretary of State for International Development, Justine Greening), business leaders and staff members of Fairtrade organisations from across the globe attended. Representatives from producer groups added their voice at the conference, including the charismatic, Chief Adam Tampuri, Chair of Fairtrade Africa Network and himself a cashew and shea nut producer in Ghana. 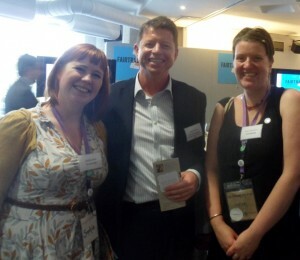 Sophie and Helen from Fairtrade Holme Valley with Professor Bob Doherty of the University of York (centre). 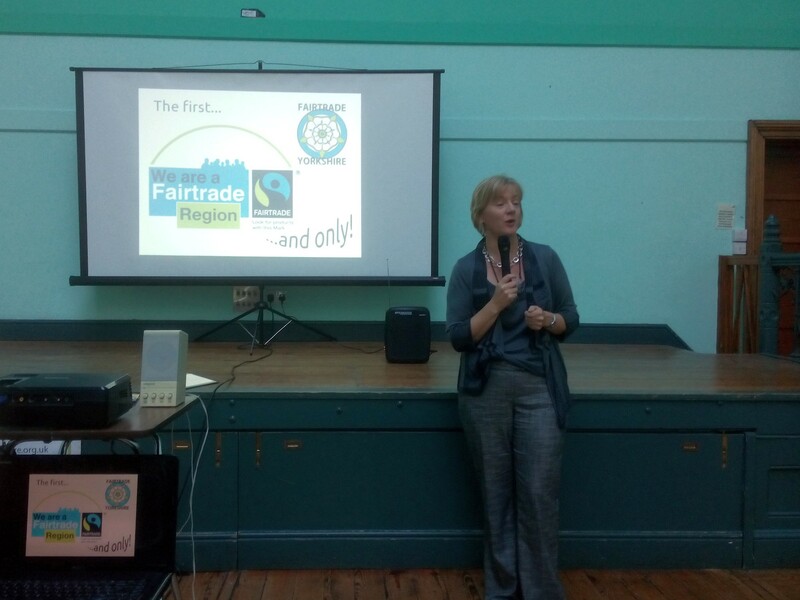 Other speakers at the conference included CEO of Fairtrade International, Harriet Lamb and Gabriel Marques-Worssam, of Fair Trade Wales, who answered questions about engaging young people in Fair Trade and trade justice issues. 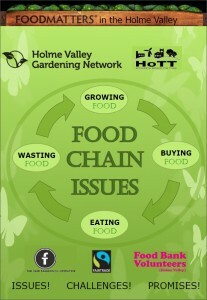 One of the best known faces at Fair Future was BBC’s ‘The Apprentice’ advisor, Nick Hewer. He gave the Yorkshire contingent a quizzical look but thankfully didn’t advise any firings to take place. Nick gave a passionate talk about conditions for banana farmers in St. Lucia. Speaking from his knowledge of the people that he had met in St. Lucia, he knew how tough life could be for these farmers, particular when the price paid to them is being squeezed, because of supermarket price wars in the UK and other western countries. He called for supermarkets to stand by fair practice and abolish the days of the unfair banana. Dr. Nyagoy Nyong’o, Director of Fairtrade Africa, spoke of the problems agriculture in the global south faces because so many young people are leaving the land. Farming is regarded in many countries as an older person’s profession. This may store up big problems for the global food supply, unless farming is made a more tempting career for future generations. Fairer prices paid for produce and better working and living conditions must form part of the solution. 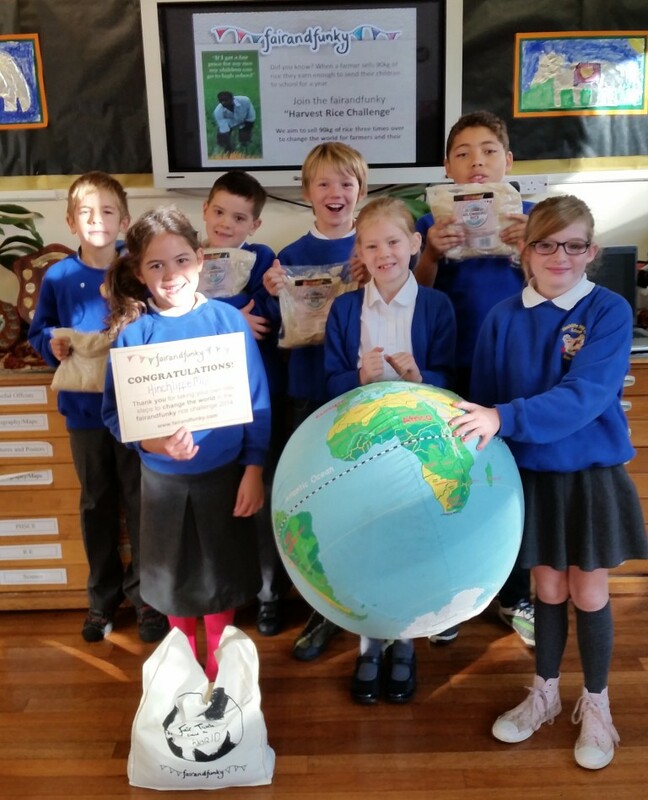 In September fairandfunky launched the 90kg rice challenge from Just Trading Scotland, aiming to sell 90kg of rice three times over! Why 90kg? Because when a farmer sells 90kg of rice he raises enough money to send his child to school for a year. In Malawi, secondary school isn’t free so many children don’t get the opportunity to attend. In fact, only one in three Malawian children attend high school so through this challenge we can send children to school and end poverty through education. We can change the world for farmers and their families. Over the last month, fairandfunky have led assemblies in schools, facilitated ‘Rice Challenge’ workshops, attended Food Festivals across Yorkshire and had support from Churches and Fairtrade Support Groups. 5 weeks on and fairandfunky have sold 141 bags of rice and are halfway through the challenge to sell 270 bags! 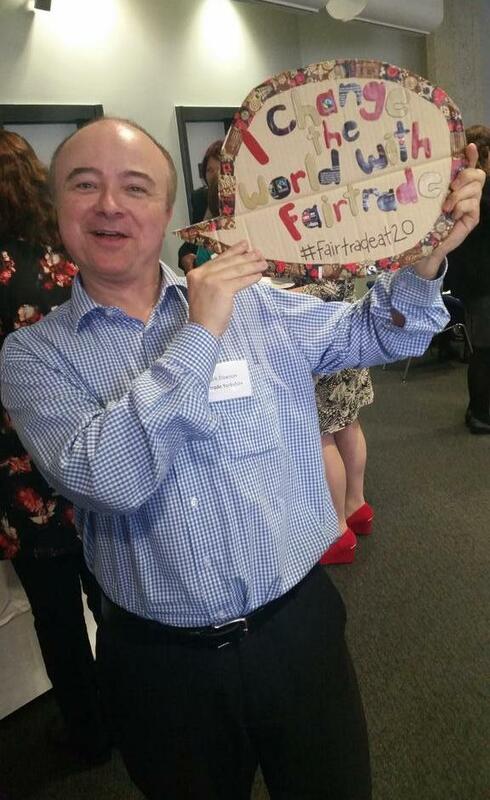 To find out how you can get involved with the fairandfunky rice challenge please visit http://www.fairandfunky.com/fair-and-funky-events/ . 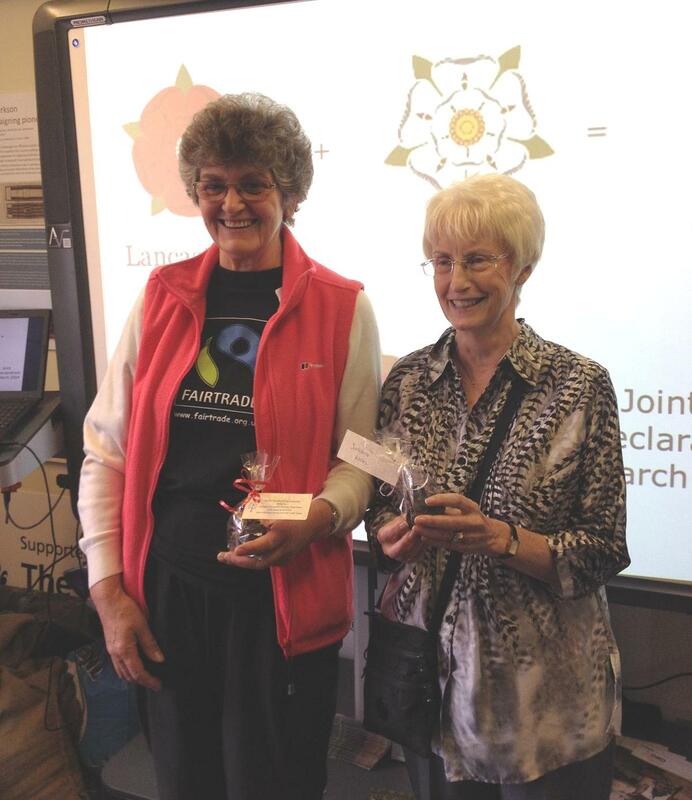 Harmony broke out as a truce was declared by age old foes Yorkshire and Lancashire. Representatives of Fairtrade York visited their counterparts in Lancaster to sign a joint declaration of commitment to Fair Trade. 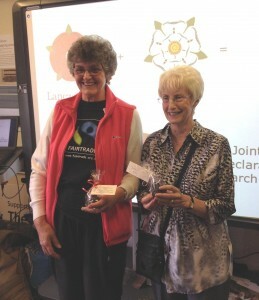 Margaret Rand of Fairtrade Morecambe and Lancaster with Kathryn Tissiman of Fairtrade York. 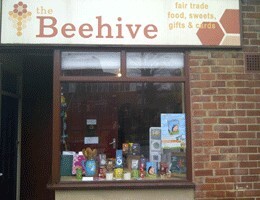 The power of Fair Trade to bring communities together was demonstrated by this most unlikely of partnerships. 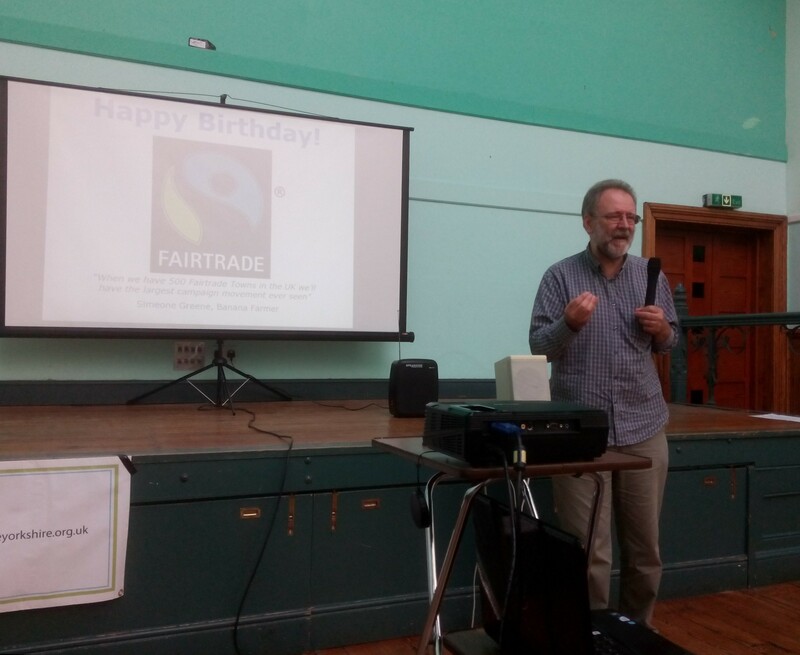 The unity event, which was held in Lancaster on 27th September, was attended by Bruce Crowther, the founding father of the Fair Trade Towns movement. Bruce, in his role as coordinator of the Fig Tree Fair Trade visitor centre, prepared white and red roses made from Fairtrade chocolate to commemorate the occasion. Sue from York and Ruth from Lancaster at the Fig Tree visitor centre.